I always watch the American Pickers show on Discovery Channel. But when I found out that Mike Wolf on the show has his shop in Nashville, I knew that I had to take a visit. The shop is in an area called the Marathon Village. It is a really nice place with a lot of small shops. Mikes store is called Antique Archeology. 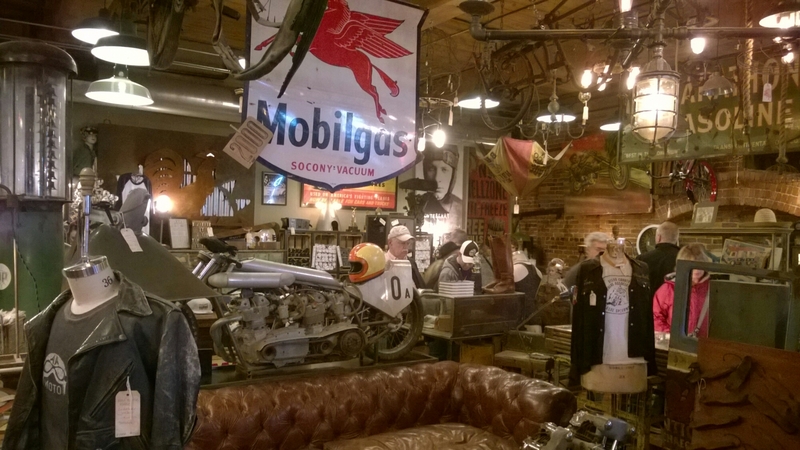 The shop has many items that has been on the Tv show. I even saw Bill Blacks bass (which isn’t really Bill Blacks bass if you have seen the show).